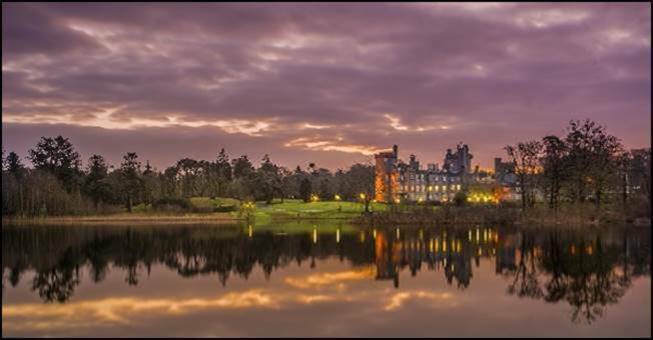 County Clare, Ireland’s Dromoland Castle has just undergone a 20 million euro refurbishment. Dromoland Castle, the 16th century luxury castle hotel in County Clare, Ireland has completed its final phase of a full-scale €20 million refurbishment. Steeped in Irish history, the Castle’s owners worked under the guidance of members of the Irish Georgian Society to respect Ireland’s architectural heritage and used traditional skills and craftsmanship while incorporating the most up-to-date technology. The focus was to preserve the historic charm while enhancing the future legacy of the Castle for generations to come. Included in the extensive refurbishments were the following: Castle guest rooms and bathrooms, Queen Anne Wing, dining and lounge areas, all public spaces, Spa at Dromoland Castle, indoor pool, new golf carts and pathways, air conditioning units, a new water treatment system, as well as window refurbishments and stone façade repairs. Acclaimed Irish painter, John Brennan, was commissioned for the artwork in the guestrooms; the Celtic inspired paintings are unique, with each gold leaf applied by hand. The imposing baronial façade wraps around a startling interior that seamlessly marries historic opulence with five-star finesse. Dazzling Waterford Crystal chandeliers, hand-woven Venetian silk wall coverings, ancestral oil paintings, hunting mounts and glorious stained glass set the tone, sitting comfortably with the kind of contemporary comforts modern travelers expect – spacious bedrooms, Egyptian cotton bed linen, exquisitely appointed bathrooms, modern Irish cuisine, glamorous cocktails and a chic spa. Guestrooms reflect a soothing contemporary palette updated with modern Irish fabrics, custom lime-washed furnishings, original artworks and pillows embossed with the Lord Inchiquin’s coat of arms. By day, sunlight streams through generous windows, connecting guests to the lush country estate, even when curled up by the fire with a whiskey or relaxing in their bedrooms. By night, the sparkling chandeliers illuminate the lavish public spaces, with their cozy corners, grand views and indulgent comforts. From perfect lighting, historic art and gilt antiques to the ornate ceilings and palatial proportions, the sense of comfort and place is exceptional. Dromoland Castle, located in Newmarket-on-Fergus, County Clare, was built in the 16th century. Majestically set on the shores of Dromoland, it is surrounded by over 450 acres of breathtaking scenery, including a championship parkland golf course. Lavish interiors, fine food and superb wines complement the deluxe accommodations of the Castle’s 97 guest rooms, while Dromoland Castle Golf and Country Club, an intimate spa and traditional outdoor recreational opportunities ensure a unique guest experience. Dromoland Castle is located at Newmarket-on-Fergus, Co. Clare, Ireland. The hotel can be contacted at 011.353.61.368144 or 1.800.346.7007; website www.dromoland.ie. Reservations can be made through the hotel (sales@dromoland.ie); or through Preferred Hotels & Resorts at 1.800.323.7500 or www.preferredhotels.com. 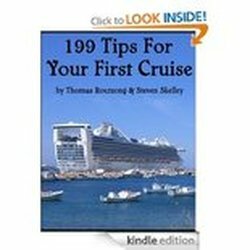 For gay travelers, visit https://gay-ireland.com/ for gay travel information in Ireland.